PatAnalyse is launching a new product line: in depth patent studies available to all players, large and small, for a fixed price. This novel source of evidene-based competitive intelligence can validate and complement conventional market analyses. The study, compiled a database of all patents filed by UK inventors, including those filed worldwide, but excluding double counting of patent families. Using this ‘cleaned up’ database we have produced a profile of UK ‘inventiveness’. The main analysis shows that just 30 companies account for a quarter of all UK-originated patents. 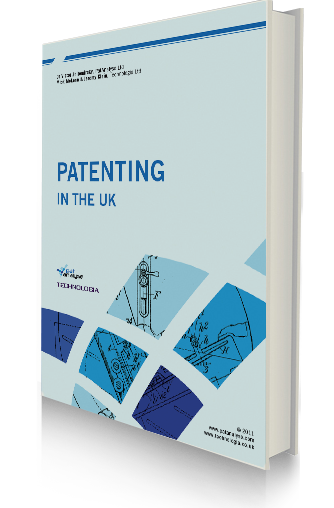 The UK’s patenting activity is clustered around three topics and in each cluster a small number of key companies dominate. In chemicals and pharmaceuticals, GSK, AstraZeneca, Unilever and Procter & Gamble are in the lead. In engineering, the aviation and defence contractors such as Rolls-Royce, Airbus, BAE and Qinetiq form a strong concentration, though there is also a materials technology cluster which includes Schlumberger and BP. Dyson is also in the engineering cluster, with a remarkably high patent output for its size. Electronics and software include star players such as NXP Semiconductors, IBM and telecoms operators and suppliers. UK universities account for 25% of pharma patents filed by UK inventors but only 6% of non-pharma patents. Satellite report to "Patenting in the UK"
A supplement to the main report provides clear intelligence on the activities of major UK patent attorney firms. It shows UK patent attorneys are responsible for drafting, filing and prosecuting about 75% of all patents of UK inventions, out of which 17% are handled by in-house corporate patent attorneys located in the UK. One surprising finding is that there is little reciprocity between US and UK patent attorneys. There seems to be no correlation between the US firms used by UK patent attorneys to file UK inventions in the US and the US clients who use UK patent attorneys to file foreign patents at the EPO. For instance, one of the largest UK firms, Marks & Clerk, has substantial business with more than 20 US patent attorneys firms. However only two US companies from this list are working with Marks & Clerk either as a meaningful client or contractor. This lack of reciprocity is further confirmed by the fact that, in order to save costs, many UK patent firms are sending work to the US Patent Office via less expensive Canadian patent firms. As a technology consultancy with highly comprehensive proprietary software tools, PatAnalyse is uniquely positioned to help clients with the Competitive Intelligence studies. 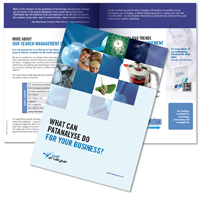 Brochure: "What can PatAnalyse do for your business?" PatAnalyse is in the business of delivering IP intelligence to its clients. We take responsibility for finding the patent information required by our clients and then structure and make sense of it. To deliver a project we use a proprietary, comprehensive search management system to capture expert judgements and combine these with artificial intelligence analysis to produce a pre-analysed universe of data tailored exactly to each client’s needs. 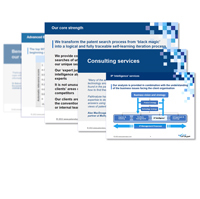 Our experience in technology consultancy allows us to provide an interpretation of the ‘competitive intelligence landscape’; our analysis is closely aligned to the client’s business strategy. Our client, as the user, first influences how the universe of patent data is gathered and structured and then can exploit it using the on-line patent management system provided by PatAnalyse. 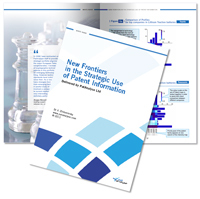 White Paper: "New frontiers in the strategic use of patent information"
"Innovative Tools for Comprehensive Patent Studies"
PatAnalyse has captured in its software tools the first-hand experience gained over a decade of active delivery of Patent Landscape studies. 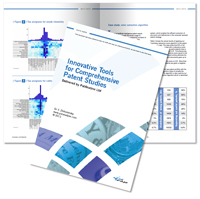 Novel software tools bring affordable and accurate Patent Landscape studies to the market using 21st century technologies. The power of artificial intelligence algorithms is introduced closely integrated to the judgement of subject area experts. The PatAnalyse tools allow the search to evolve into a self-learning iteration process, improving the completeness of final results. Screening and classification have been modified into a highly collaborative process with the automatic distribution of work among a dispersed team of experts. 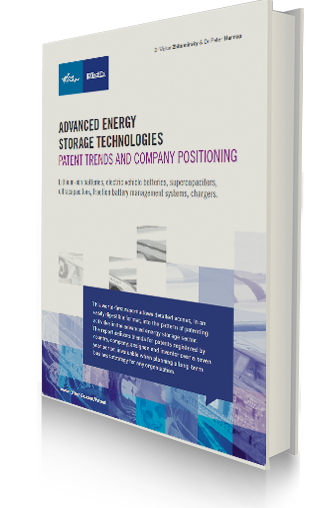 The tools have been further extended to provide the results of the patent study in a user-friendly patent knowledge management system, thus greatly improving the efficiency of re-use of the results of the study within the client's company. A technical white paper should be of main interest to active practitioners in the IP department of client's organization. To obtain further technical details about our tools, please request the white paper here.